In an effort to serve Cassville R-IV students that have qualified for speech and language therapy, DotCom Therapy services are now available for preschool through eighth grade students at the district. DotCom Therapy provides face-to-face, audio and visual real-time instruction through teletherapy from a certified Speech-Language Pathologist. Depending on services needed, students utilize the technology once or twice a week for 30 minute sessions. 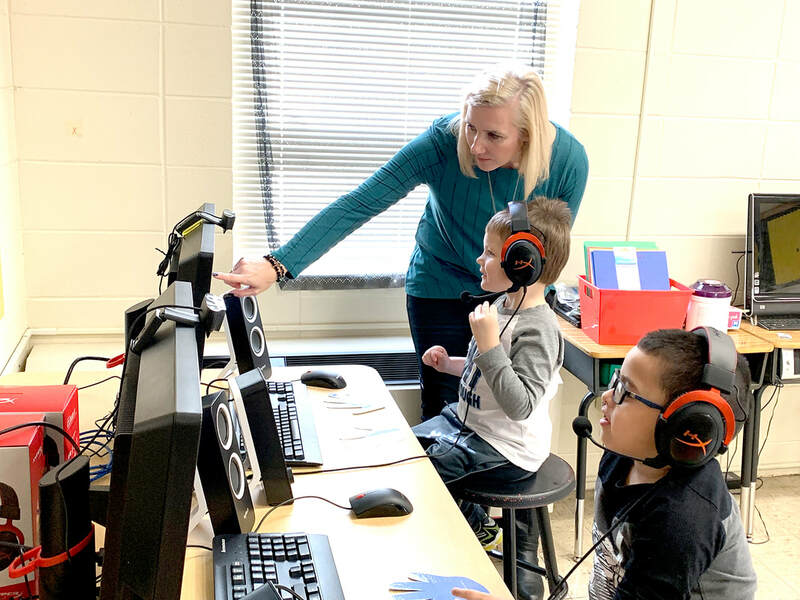 In addition to teletherapy, students will continue to receive services from the district’s Speech-Language Pathologists Sheryl Fuchs and Kami Willis. Fuchs or Willis are also on site to oversee therapy sessions with the DotCom therapist as well. Students at Cassville that benefit from this service receive therapy from Aliece Barklage, M.S. CCC-SLP. Barklage has been a therapist for over 10 years and strives to ensure each child receives the most innovative and individualized services available. Pictured above are teacher Sheryl Fuchs and students Milton Aman (left) and Nathan Ruiz (right) utilizing the DotCom Therapy service.